A consumer who purchased a new living room suite but rejected it following delivery because it was not of satisfactory quality and later gave it away after the seller ignored repeated requests to uplift the goods is entitled to a full refund, an appeal court has ruled. 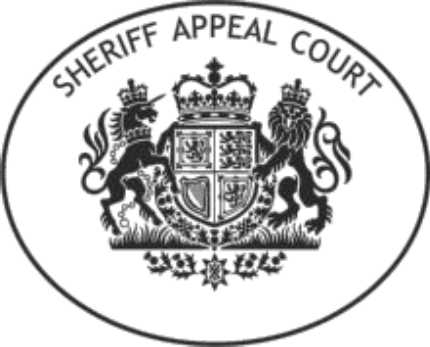 The Sheriff Appeal Court refused an appeal by R & J Leather (Scotland) Ltd against an order for payment in favour of Christina Johnston and Peter Johnston, after rejecting the argument that the buyers had to retain the suite until the company decided to collect the goods. “R&J have only themselves to blame for their inability to recover the item,” Appeal Sheriff Andrew Cubie said. The court heard that in March 2017 the pursuers visited the defenders’ showroom in Uddingston and purchased a custom-made leather suite. But when the suite was delivered on 30 June 2017 it did not match their expectations. The couple went to the showroom the following day to complain and intimated rejection of the defective goods, only to be told to phone R&J’s head office. They emailed and phoned rejecting the suite and seeking repayment, and were told that a driver would be sent. On July 6 three employees attended and corrected a defective mechanism in the recliner seat, which was one of the couple’s many complaints, but when Mrs Johnston asked that the suite be taken away she was again told to phone the head office. While she was on the phone and despite knowing that the suite had been rejected and that the Johnstones wished its removal, the employees left without taking the suite. Having taken advice from a consumer protection organisation, the Johnstons wrote to R&J by delivery letter intimating rejection and seeking repayment, but the company refused to accept the letter – seven times. Mrs Johnston raised a simple procedure claim, which was undefended, and on 14 December 2017 she obtained an order for payment, but not for removal of the suite. Believing that the matter had at last ended in their favour, in January 2018 the Johnstons decided to give away the suite, as it was taking up space which they needed. But after having a charge served in relation to the order for payment the defenders lodged an application to recall the order. After hearing evidence over two days in June and July 2018, the sheriff preferred the Johnstons’ version of events and granted an order for payment, excusing the failure to be able to return the suite. The defenders appealed, arguing that the obligation to make the rejected goods available as a condition of recovery of the price, applied “without limit of time” and “irrespective of their actions”. The remedies were set out in the Consumer Rights Act 2015, the statutory successor to the Sale of Goods Act 1979, which provided that where a consumer indicated to a trader that the goods were being rejected the consumer had “a duty” to make the goods available for collection. The court accepted that the sheriff had erred by considering remedies which were not sought and not triggered by the short term rejection. However, the sheriff was entitled to find that short-term right to reject had been exercised, a matter not in dispute. In a written opinion, Sheriff Cubie said: “The argument that there is an unqualified duty, without limit of time to retain the goods has a superficial attraction, given the wording of the Act. “However, I conclude without difficulty that whatever the wording in section 20(7) (‘from the time’ and ‘make the goods available’), an interpretation which leaves the duty as open-ended, unqualified and indefinite is an unattractive proposition which is not supported by the authorities cited or statutory interpretation in general. “Such an interpretation has the potential to lead to both unfairness and absurdity; it is trite that statutory interpretation should avoid such outcomes. The court held that the duty to make the goods available “cannot be without limit of time or unqualified”. In considering the nature and extent of the duty to retain goods which have been rejected, the court is entitled to take into account a number of factors, including but not restricted to: the timescale within which rejection was intimated; the nature of the goods; the practicality of providing storage; the nature, extent and frequency of communications sent by the consumers to the seller; any response, or lack of response, from the sellers; the length of time for which goods were retained; and whether proceedings have been raised. In the circumstances of this case, the pursuers were entitled to dispose of the suite and entitled to payment, having exercised their right to reject the goods. Sheriff Cubie added: “For months the Johnstons had been trying to elicit a response and had been constantly ignored; I am not prepared to hold that the Johnstons were under a duty to retain the goods indefinitely until R&J elected to take notice of the dispute. “R&J cannot act in the way in which they did and be afforded protection by the Act. I am satisfied that, in the particular circumstances of this case, the Johnstons were entitled to dispose of the suite. “The rejection was made immediately and unequivocally. R&J deliberately avoided engagement with them. “The Johnstons legitimately considered that the initial order in their favour had brought matters to an end. By their attitude, R&J effectively abandoned their right to seek recovery; there is a limit to the occasions which a party can be expected to remind sellers of the rejection.